Get a sturdy material (wood, canvas ect.) 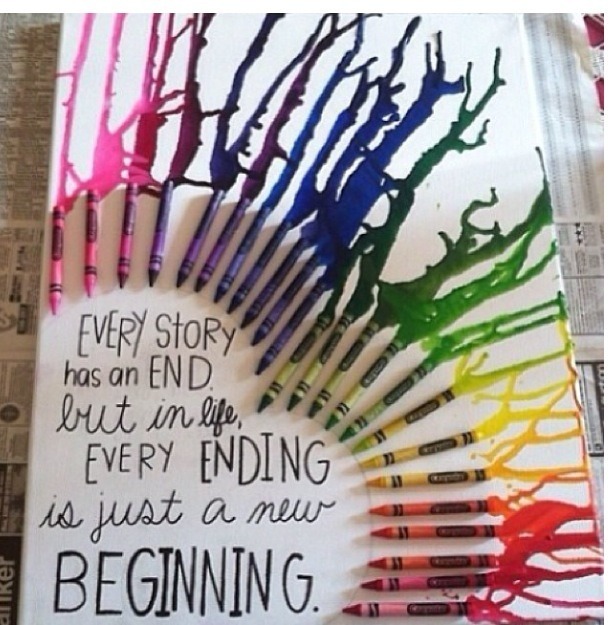 then supper glue your crayons down how ever you want in any shape you want. Then write a quote or a message or even put a picture on it. Then place it so it will melt down the direction you want. Then heat with a blow dryer and let it drop till desired! 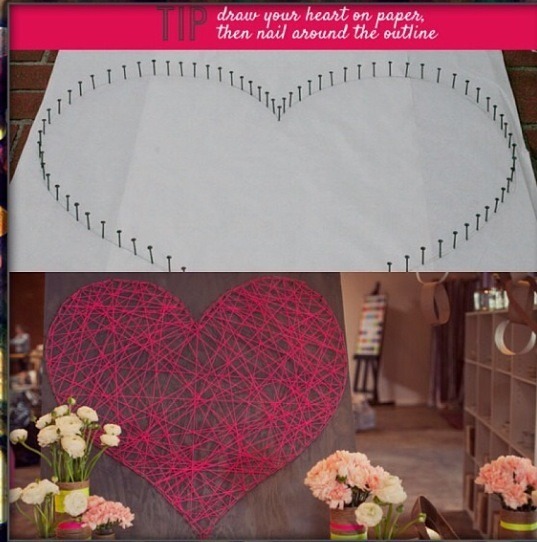 Place nails in wood in any design or words and get any color string or thread like material and tie around one nail. Then start moving it around and through the other nails till you get desired look. Then cut and tie. So so cute! Great decoration. So easy all you need is construction appear hot glue a punch (or ✂️) and ribbon. 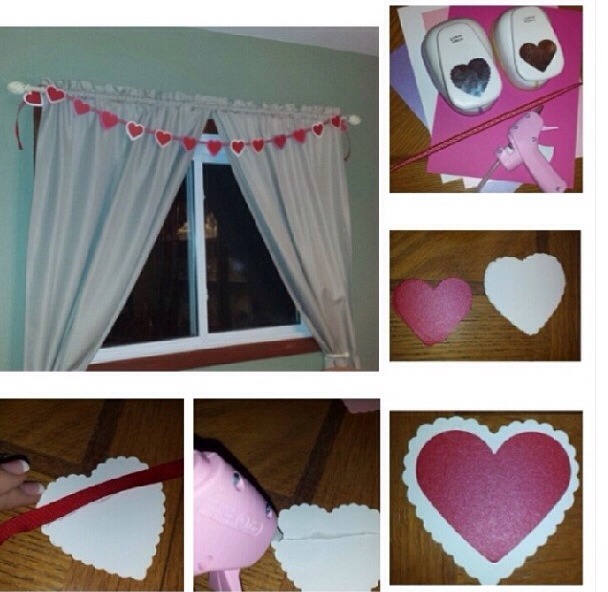 punch or cut out the heart then Hot glue a line on the back and place on the ribbon. Repeat and let dry. Then use to decorate where ever you want!